Rebekah Anderson is a professional Graduate Gemologist with more than 30 years of experience. As an independent, accredited jewelry appraiser, she conducts jewelry and gem appraisals for clients from Raleigh, North Raleigh, Wake Forest and the Triangle-area of North Carolina. 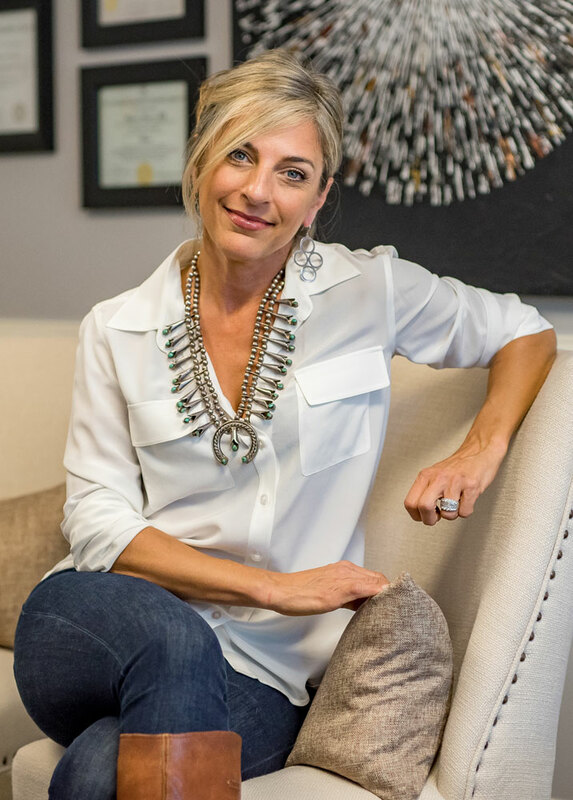 Through her Raleigh company, Earth Pebbles Gemology, Rebekah does same-day jewelry appraisals in her office while clients are present, so their jewelry or gems are never out of their possession or sight. With a commitment and passion for gemology that started at a very young age, Rebekah has worked in what she calls her dream job for nearly three decades. As a 10-year-old growing up in Nebraska, she spent summer afternoons instructing her friends on the finer points of simple jewelry making. At the same time, her love of art blossomed. She took private pastel art lessons from a professional artist with whom she had to “test in” to be accepted as a student. She entered her work in the State Fair and won blue ribbons in categories with entrants many years her senior. Rebekah tested out of high school as a sophomore to pursue a college education at age 16. Her family then moved to California where she began looking for ways to help pay for college. She stumbled upon a local job listing for a jewelry polisher/fine finisher that paid a high hourly wage. She applied for the job; not knowing the position was a career path for many and would attract experienced professionals. She was disappointed, but not surprised when she didn’t get the job. Her surprise came two weeks later when the jeweler called her back and offered her the job after the experienced jewelry polisher he hired didn’t work out. While he knew Rebekah didn’t have a lot of experience, he believed her artistic skills and enthusiasm would help her be successful. Rebekah found a mentor in that first job as a jewelry apprentice. She watched him closely, mimicked his techniques and learned his skills. She discovered her passion. As Rebekah advanced in her profession, she often heard about The Gemological Institute of America (GIA), known as the world’s foremost authority in gemology and leading source of knowledge, standards, and education in gems and jewelry. Her new goal was to advance her training and knowledge at GIA. Her first boss and mentor Master Jeweler Dave Lowrie wrote GIA a letter lauding his star employee and landing her one of only two scholarships given to students. GIA helped Rebekah fill her desire to comprehensively understand the nature of gems. With her inherent aptitude for design and standards of excellence, she excelled and in six months earned her GIA Graduate Gemologist credentials. After becoming a Graduate Gemologist and jewelery designer, Rebekah worked for Captured Elegance Jewelers in Escondido, California. It was there her jewelry design skills flourished. Not only did she design beautiful jewelry, but she painted her renderings in watercolor, which were often presented to clients along with the finished piece of jewelry. Many of her clients were celebrities and athletes, including professional golfers Lee Trevino and Mark O’Meara. The national membership warehouse club Costco Wholesale hired Rebekah as head gemologist, where she negotiated the purchase of hundreds of carats of gems each day, sorted and graded them. Training future gemologists soon became her vocation when GIA moved its campus to Carlsbad, California, where Rebekah lived. She was one of more than 300 applicants vying for six positions being offered. She was hired by the prestigious organization as a Resident Graduate Gemology instructor – the youngest instructor on staff at the time. From there, she moved to England and was instrumental in opening the GIA London campus where she served as lead instructor. During her tenure at GIA, Rebekah advanced to Senior Resident Graduate Gemology instructor and worked closely with Gem Trade Laboratory scientists to further increase the scope of her knowledge. She had access to the latest research and information on gem treatments, enhancements and identifying new synthetic stones. After a successful career with GIA, Rebekah relocated to Raleigh in 2006 with her family. Prior to founding Earth Pebbles Gemology, an independent jewelry and gem appraisal company, Rebekah was a corporate appraiser for Bailey’s Fine Jewelry and Jolly’s Jewelers in Raleigh. Rebekah is married to Brian Anderson and they have two children, Axel and Liviya. Together as a family, they volunteer to raise awareness and research dollars for Aplastic Anemia, a rare disease Liviya contracted when she was six years old. It has a 50 percent survival rate and no cure. They support the American Red Cross, which provided Liviya with life-saving blood transfusions up to five times per week as she underwent treatment at UNC hospital in Chapel Hill. Liviya responded to the treatment allowing her to live a normal life; however, there’s a 50 percent chance of the disease recurring. The Anderson family travels to speak on behalf of the Aplastic Anemia & MDS International Foundation and to raise research dollars and awareness about this rare disease so a cure can be found not only for Liviya, but the other 1 in 1 million children who have it. A 2013 documentary on Liviya’s fight with Aplastic Anemia will air on the Discovery Health and Smithsonian channels and was nominated for two Emmy awards. Both Liviya and Rebekah are also known for their involvement and support of Raleigh’s Mom Prom, an annual mom’s-night-out fundraiser that benefits the UNC Beads of Courage program. Brian participates in the annual Chips for a Cure, a dad’s night poker tournament to raise money for Liviya’s research fund for a cure.